Færder lighthouse stands watch over the southern gateway to the national park. 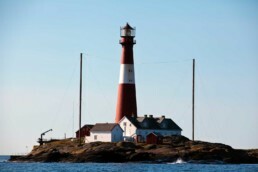 This 43-metre tall lighthouse has been in operation since 1857, when it replaced the lighthouse at Store Færder from 1697. 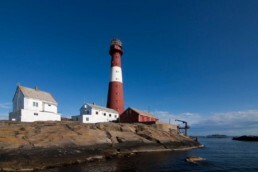 The lighthouse is owned by the Norwegian Coastal Administration. You can go ashore here, but the lighthouse itself is normally closed. 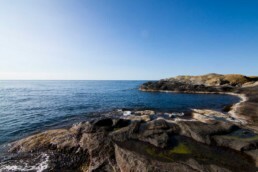 Work is currently underway to open a coastal cabin at Færder. You can reach Færder in your own boat or by booking the “Færdergutt” shuttle service.